Gran Turismo Sport’s July update is now live, adding a new race track and more cars. It’s also introduced microtransactions, something the series producer said last summer the game wouldn’t have. As of today, players can now purchase cars outright for cash as long as they cost less than 2,000,000 in in-game currency. The change is currently live in Asia and the Americas while the rest of the world won’t see the new option until August 2. The Alpine Vision Gran Turismo 2017, for example, is now listed at $3 on the Playstation Store and in-game for players who don’t want to have to grind for it. This runs contrary to what Kazunori Yamauchi, CEO of Polyphony Digital and the mastermind behind the Gran Turismo series, said at PlayStation Experience 2017 in Malaysia a couple months before the game came out. 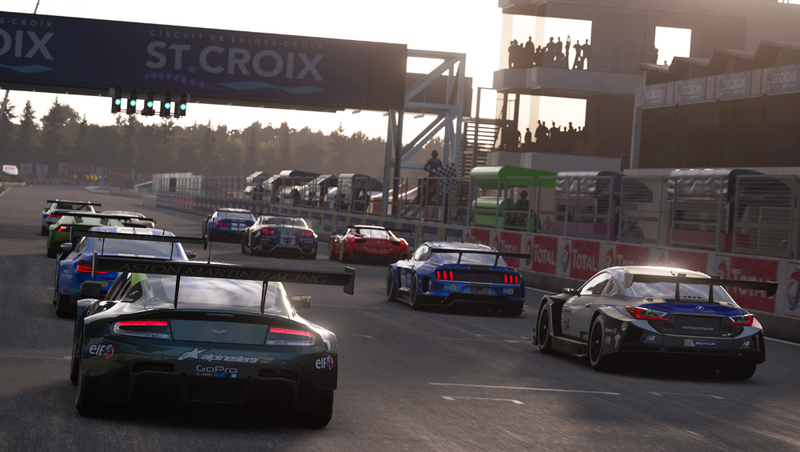 Asked whether GT Sport would have microtransactions like past games in the series, Yamauchi responded through a translator, “no.” The interviewer who asked the question breathed a sigh of relief and said, “Thank God.” Everyone in the room laughed, including Yamauchi and the translator, and there didn’t seem to be any miscommunication. Hundreds of cars can now be bought for a $1 to $3 on both the PlayStation Store and in-game rather than spending credits. A year later, Yamauchi appears to have changed his mind. GT Sport was the first Turismo game in four years and the first on PS4. Despite both of those things, it sold substantially worse than previous games. That coupled with the cost of server maintenance and continued updates for the game, all of which have been free, could be why Sony has decided to start selling nearly all of the game’s virtual cars, approximately 218 according to GT Planet’s math, for real world cash. Sony did not immediately respond to a request by Kotaku for comment. Meanwhile, some players in the community are split on the wisdom of this new move. One argument that’s been put forth on the game’s subreddit is that people with jobs or other full-time commitments would prefer the option to buy stuff and use it immediately rather than waste time grinding. Of course, the other way around that would be for the game to simply unlock every car or, as another player suggested, increase payouts for races to reduce how long it takes to acquire new vehicles. The bigger takeaway is that whatever the monetization model is when a game’s released might not be the same one it has six months or even a year down the road. We’ve become accustomed to games adding microtransactions and going free-to-play when they don’t sell well initially or, in the case of Fortnite, creating an entirely new mode funded through the sale of cosmetics. In a racing game, cars aren’t cosmetic though, they are the game. GT Sport’s tedious grind to unlock new cars was simply frustrating before, but now that there’s an option for quickly bypassing it, it understandably feels more pernicious.